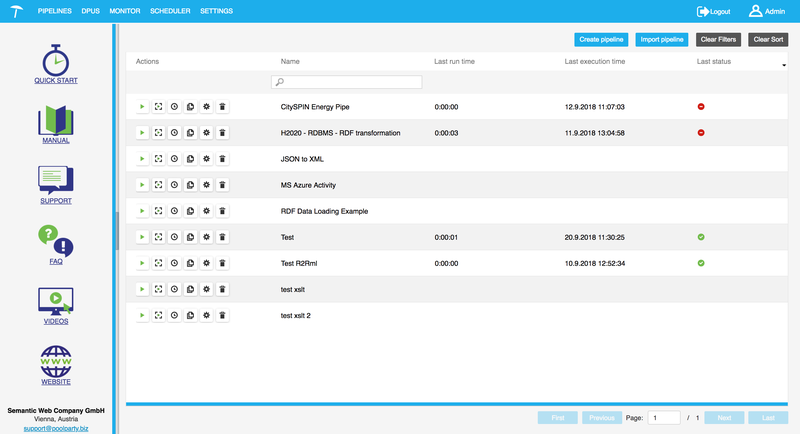 Data processing tasks modelled as pipelines: make use of the intuitively usable graphical interface. Versatile data integration platform: link data from internal and external data sources in a central data warehouse. Custom plugins: your data processing pipelines are highly customizable by creating your own data processing units (DPUs). Linked Data Analytics: benefit from ‘Smart Data Lakes’ based on RDF graphs to be analyzed with SPARQL. DPU library: comprehensive and constantly growing DPU library supporting several data sources and formats (APIs, XLM, CSV, RDF and many others). Execution monitor: view and track detailed information about pipeline execution. Scheduler: create and view scheduling rules of pipelines. UnifiedViews is available under GPLv3 – therefore free for any non-commercial use and re-use! 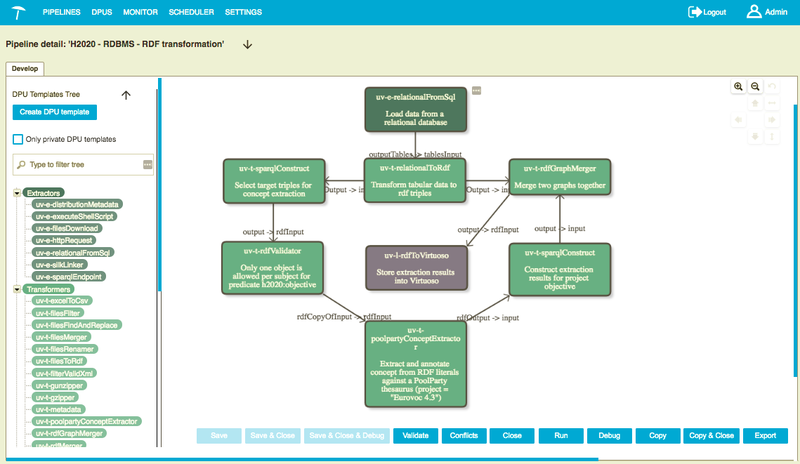 PoolParty Semantic Integrator licenses include a license for commercial use of UnifiedViews. We provide services and trainings around UnifiedViews.